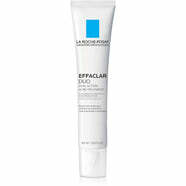 La Roche-Posay is the physician's top choice for superior skin care. Discovered in the town of La Roche-Posay, France, La Roche-Posay's signature thermal spring water has been used to treat chronic skin diseases in Europe's leading thermal dermatology hospitals since 1905. Known for it's healing power, this antioxidant-rich spring water is the heart of the La Roche-Posay brand and today, with their continued partnership with the medical community, their skin care products are recommended by over 25,000 dermatologists worldwide. Featuring highly concentrated ingredients tailored to your specific skin needs, these nourishing formulas are clinically tested to be highly effective yet safe enough for daily use on even the most sensitive skin. La Roche-Posay is dedicated to improving your quality of life by improving the quality of your daily skin care routine. With a commitment to high efficacy and skin tolerance, La Roche-Posay products are made with strict formulation principles for optimal safety and effectiveness. La Roche-Posay Toleriane Hydrating Gentle Cleanser, 13.5 oz. 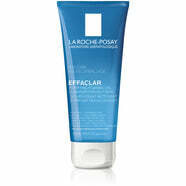 La Roche-Posay Rosaliac AR Intense, 1.35 fl. oz. 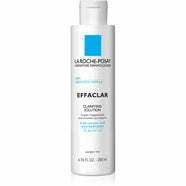 La Roche-Posay Effaclar Clarifying Solution, 6.76 fl. oz. 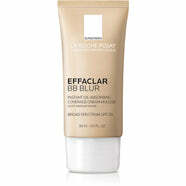 La Roche-Posay Anthelios 50 Mineral Tinted Sunscreen, 1.7 fl. oz. La Roche-Posay Redermic C Dry, 1.35 fl. oz. La Roche-Posay Mela-D Pigment Control, 1.0 fl. oz. 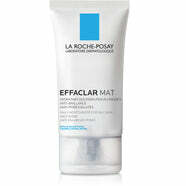 La Roche-Posay Effaclar Mat Mattifying Moisturizer, 1.35 fl. oz. La Roche-Posay Anthelios 60 Melt-In Sunscreen Milk, 5.0 fl. oz. La Roche-Posay Active C Eyes, 0.5 fl. oz. La Roche-Posay Toleriane Daily Soothing Face Cream Moisturizer, 1.35 fl. oz.